Sadly, I was one of countless individuals who suffered the HBOGO crash that occurred last night which frustrated me to no end and led to countless distractions while at work. How will it end? Who will die if anyone? Will there be a collective sigh of release or will there regret, because a show, this good, is no longer there? 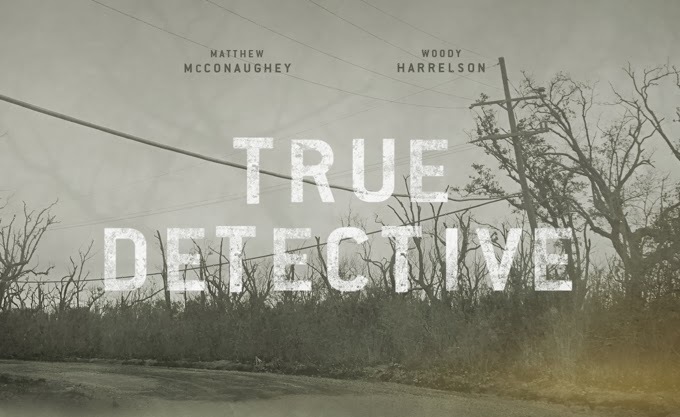 For those of you who are late to the party, “True Detective” stars Matthew McConaughey as Detective Rust Cohle an insightful utterly unique individual who brings his own set of skills to the police force alongside Woody Harrelson as Detectives Marty Hart who often just reacts to the stuff that Rust spouts. These two are paired up to solve the murder and decorative placement of a young girl while the viewer sits along for the ride as the story line bounces between the 1990s, the early 2000s, and the present. Did I make this seem like an insipid unoriginal cop drama? I did? I apologize, because this show is anything but that. The viewer witnesses the acting ace that McConaughey has suddenly decided to show while also witnessing a subtle yet fantastic chemistry between two veteran actors who appear to have an all encompassing knowledge of their characters. Does it sound like I absolutely love this show? Because it should. From the first trailer I witnessed to the finale, I was captivated the by the script, the acting, the cinematography, the makeup, the setting and the story. All of it, in only 8 episodes. That tells you something right there, that a show that is so short, can tell so much. First time creator, writer, and producer, Nic Pizzolatto decided to grace us with his intellect, his skill, and his overall understanding of what it means to be a human and witness the darkest side of humanity. This show illustrates the relationship between two men, akin to two gunslingers holding out in a Western outpost, as they attempt to keep the bad men from the door. When all else fails they have each other and it is only that, that they need. This show will definitely have a few nominations at the Emmy’s, so, if you consider yourself an individual who loves television, then watch this show. Any which way you can. Now, for those of us who have witnessed the compelling finale of this great creation, read on. Those that haven’t stop right there! This was exactly how I wanted it to end. Closure. A closure of their relationship. A closure of the case. A closure of their life. That’s what I wanted and this finale gave it all to me, from the mournful tears of Marty as he realizes that his life nearly ended to the final all or nothing shootout/hand to hand fight. I loved it. I loved the creepiness of Tuttle with his ever changing accent and his nightmare of his house. I love the shot of Cohle as he gazes out the window with one black eye and an injured hand. I love the idea that they can finally rest. These two individuals who have been through so much, mostly self-inflicted, can finally rest. I read that with the ending of “Breaking Bad” and “The Sopranos” that the golden age of television is coming to an end. I think “True Detective” dismisses that allegation. Yes you can show a typical cop drama in which a serial murder is being hunted but this becomes so much more, when you focus on relationships. The connections we feel to each other and how these change over time. That’s what makes great Emmy and Oscar worthy television show and movies. The connection we have to one another. “True Detective” illustrates how a man can change when he stares into the blackest part of humanity and how he comes to terms with what he sees and how it affects him. it shows that no matter what we see or witness, that with the help of others, we too can find those humane pieces of ourselves that keep us who we are. This is what makes great television. On a closing note, it would be ill-advised of me to not comment on the role that women played in this season. Now, notice I said season, this show is an anthology in which the next season will be a different set of actors with a different story entirely, so not all hope is lost. However, women played a very minor part in this show but I will also play devil’s advocate here and state that it took place in the South, a place known, generally speaking, for its utter disregard for women’s rights, and it involved the murder of women. So, that being said, the roles that women played were realistic to the setting and the time period. However, I suggest to Mr. Pizzolatto to include some powerful women in his next season, who knows maybe a female detective, that will knock our collective socks off and show us what great work he can do.